Reduce your Carbon Footprint: Stop Cruising for Parking and Book Ahead of Time with ParkJockey! 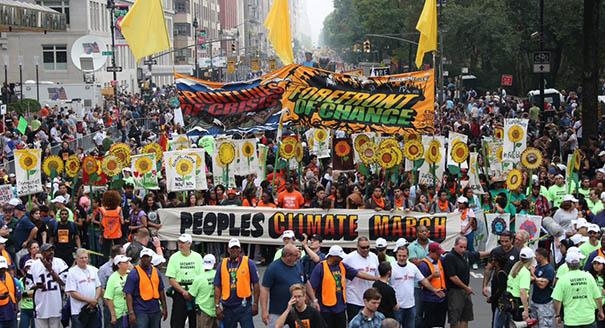 At The People’s Climate March, a dramatic display of political engagement and international solidarity, people all over the world participated in what has been recorded as the largest organized march for climate change in history. An estimated 400,000 marchers came out in New York City bearing loud voices and colorful banners, along with another 270,000 at related events worldwide. 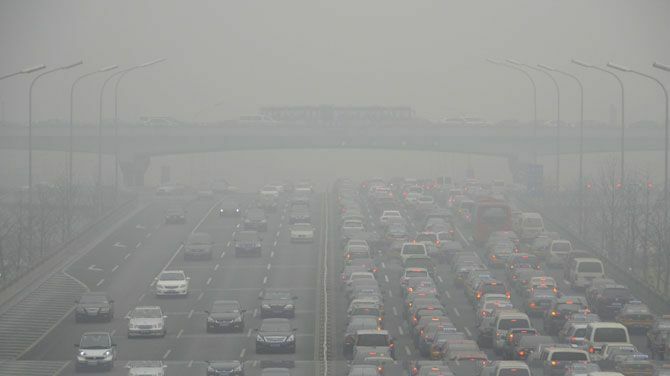 They excoriated our world leaders for not doing more to stem the tide of global climate change and raised a unified voice of hope for a brighter future, that human cooperation and ingenuity will be able to solve the greatest issue of our age. Naturally, we here at ParkJockey took a step back to reflect on the state of our environment and what we could do to help make the world not only a more convenient, but a more sustainable place. As every driver knows, parking is huge issue, especially in urban areas. What most people don’t know, however, is the serious environmental impact of cruising for parking. In 2008, Transportation Alternatives conducted a study on driving habits on Manhattan’s Upper West Side and the results were nothing short of astounding. After doing a close survey of a 15-block area on Columbus Avenue, Transportation Alternatives found that, on an average outing, an Upper West Side driver logs about .4 miles (.7 during peak hours) on their odometer. While that may not seem like a lot, cruising for parking adds up to 366,000 miles per year on the Upper West Side alone. That is enough to drive around the world almost 15 times! Perhaps the most distressing statistic from the Transportation Alternatives’ study reflects the environmental impact of looking for parking. The tiny sliver of Upper West Side drivers looking for parking generates about 325 tons of Carbon Dioxide pollution per year. To put that number in perspective, New York City would have to plant 64,000 trees to offset the carbon footprint of those 366,000 miles. ParkJockey wants to invite all New York City drivers to become a part of the global solution for climate change. 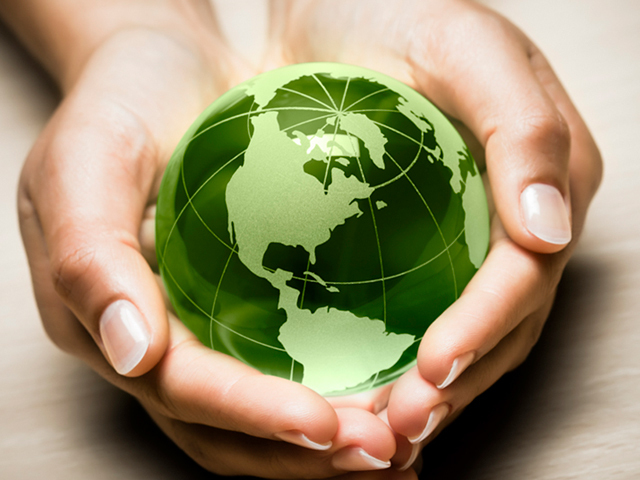 There is a lot we could all be doing in our every day lives to help the environment and by using ParkJockey to book your parking ahead of time, you will not only be enjoying an extra convenience, but you will actually be doing your part in lowering the global carbon footprint. The days of cruising for parking are numbered; the future is one where we drive exactly where we need to go; no more, no less, and no waste. 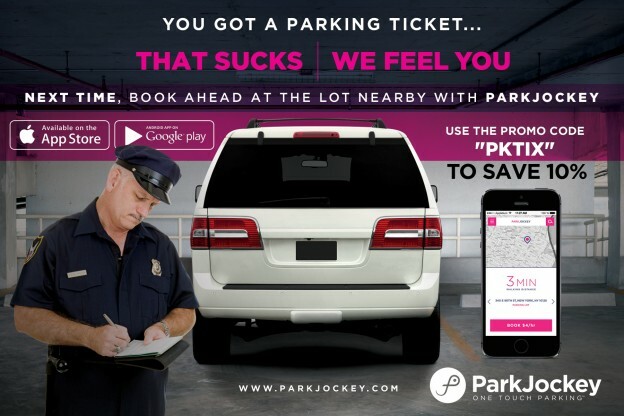 We here at ParkJockey see no reason why New Yorkers should waste their time, hard earned money, and gasoline looking for parking when an easier, cheaper, simpler and, above all, greener solution is here. Get started with ParkJockey today by using the promo code GREEN to save 10% on your first booking! This entry was posted in New York, ParkJockey and tagged carbon footprint, climate, environment, parkjockey, transportation on September 30, 2014 by ParkJockey Team. I call this week “Proposal Week.” Non-stop emails and phone calls to companies trying to create new business, something that for a start-up is decisive. That’s my role, finding partners and affiliates to join in with the ParkJockey dream. My passion – meeting new people and brands, negotiating deals and making a difference on a daily basis to build something unique. In an ideal world working for ParkJockey is a no brainer, and in many dreams it is but no dream is like that of a start-up. I work with some of those most intelligent people (whist it pains me they’ll read this and their heads might get even bigger that it’s true): Yale, Harvard, you name it, ex-management consultants from the likes of A. T. Kearney, McKinsey… You get the picture, genius’ working on parking. Operationally they are a different level, if you can restructure some of the companies these guys have worked for in previous years, then parking will be a breeze, surely? The answer, no. It still takes hard work. ParkJockey is a start-up, something that every day gives us a challenge, a surprise, a result, a failure and a success. It’s a knock-out Ricky Hatton style every day or a Ryder Cup, Miracle-of-Medina-moment every week. The choice is yours in what you choose to do with your life but mine is to make a difference and to be part of something special. This entry was posted in London, ParkJockey and tagged business development, London, ParkJockey UK, startup, startup life, team on September 28, 2014 by ParkJockey Team. Save Your Millions, New York! Earlier this month, The New York Times reported on parking spaces in a SoHo condominium that are selling for a whopping $1 Million. Holy COW! When your parking space costs 10 times more than your Maserati, you know you have a parking problem. In fact, the average price for a residential parking spot in New York is about $136,000. That is almost as much as the average price of a home in the United States. It makes sense that these private spots are so expensive, given that Manhattan had only 102,000 off-street parking spaces in 2010 (down from 127,000 spaces in 1978) and over 700,000 registered drivers. It is easy to feel overwhelmed by the numbers. Luckily New York’s drivers and commuters have a friend in ParkJockey. With all of this competition, New Yorkers need a professional to jockey for them, and that’s were we come in. We can guarantee you one of those increasingly elusive off street parking spots and save you money doing it. Good news, New York: You don’t need $1 Million to guarantee your parking anymore! This entry was posted in New York, ParkJockey and tagged expensive, New York, New York Times, parking on September 22, 2014 by ParkJockey Team. ParkJockey expedites your trip to store to get your new iPhone 6! iPhone 6 is coming out tomorrow! If you are planning on heading out to pick up your iPhone 6 or iPhone 6 Plus on Friday morning, ParkJockey recommends reserving your parking in advance to expedite your trip. Feel free to use and share the ParkJockey One-Touch Parking™” solution and no-cost mobile application to find an Apple store near you and reserve a parking spot for tomorrow instead of spending your time searching for parking during the rush! ParkJockey is now live in U.S. in Chicago, Miami and New York and in the U.K. in London. This entry was posted in Chicago, London, Miami, New York, ParkJockey and tagged Apple Store, Chicago, iphone, iPhone6, London, Miami, NYC, parking on September 18, 2014 by ParkJockey Team. Disney on Ice is a series of touring ice shows primary aiming at children. The shows features figure skaters dressed up as popular Disney cartoon characters performing scenes from Disney films. The show began in 1981 played all over the world including America, Asia, the Middle East and Europe. Not every show is the same theme from Disney Princesses to Toy Story and Finding Nemo. This year’s show is titled Princesses and Heroes held at the United Center from September 10th-14th. You can visit Ticket Master to order tickets and view different show times for each day. Disney on Ice will be presenting all of your favorite princesses such as Ariel, Belle, Cinderella, Jasmine, Rapunzel, Snow White, Tiana and Aurora. You will also get a chance to see many other characters from the movies such as the Genie from Aladdin, Founder from Little Mermaid and the Seven Dwarfs from Snow White. The classic movie fairy tales will be live to see right before your eyes with artistic skating, acrobats, music ballets, special effects, stunning set design and amazing choreography. No matter what age you are you will definitely enjoy the show so come join the fun at the United Center with your family and friends. Our parking for the United Center for this event is located at 2022 W Washington Street. 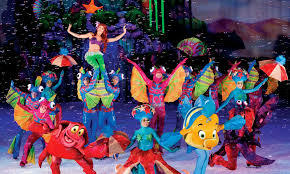 Make sure to purchase your ticket as soon as possible for Disney on Ice to see all your favorite characters perform. Then make sure to purchase your spot from Park Jockey! Hope everyone has a great time and enjoys the show! This entry was posted in Chicago and tagged Chicago, Disney, Disney On Ice, Heroes and Princesses, Park Jockey, parking, Purchase, September, Tickets, United Center on September 9, 2014 by ParkJockey Team. Did you know that New York City has over 99 distinct parking violations with fines reaching up to $515 for some offenses? Even if you manage to decipher all of the parking signs that litter New York City streets, you can still get hit with fines for offenses that require no notice. For example, parking too close to an intersection, or “blocking the box”, can cost you a whopping $115! As if we didn’t already pay enough city tax!  Buried deep in all of these parking violations, there are some neighborhoods in Manhattan that have their own parking rules. 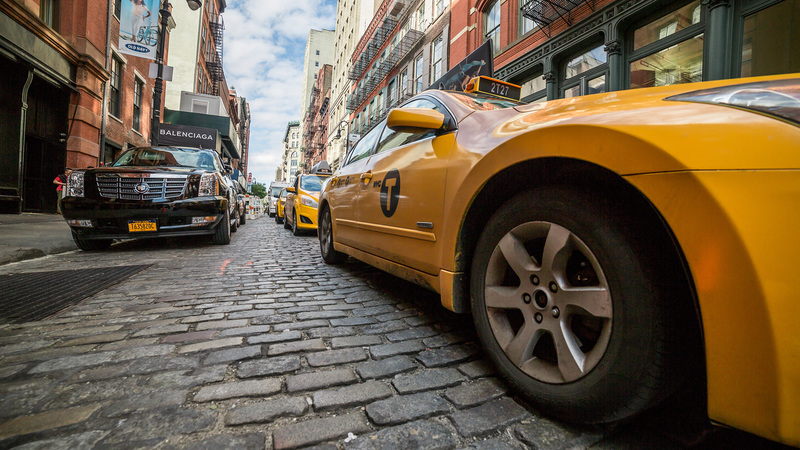 For instance, parking your car in the Garment District (35th to 41st streets between 6th and 8th Avenues) at anytime between 7AM and 7PM will result in a $115 fine (even on Sundays!). So for anyone looking to stop over in the Garment District, garage parking is an absolute must! If you find yourself in Murray Hill, don’t even waste your time trying to find street parking. There are 193 member states in the United Nations and it is well known that diplomats hate subways. As a result, street parking is restricted to those with diplomatic or consular plates only. Unless you can use your diplomatic immunity to get out of paying your tickets, good luck not breaking the bank with parking in Murray Hill. Another area to watch out for is what the city refers to as “The Blue Zone”. The Blue Zone is a huge swath of land in lower Manhattan, stretching from the Brooklyn Bridge all the way down to Battery Park, and from Broadway in the West to South Street in the east. Parking in the Blue Zone from 7AM-7PM Monday though Friday is will run you a $65 bill from the Boys in Blue. Since the law applies generally to the entire area, parking signage is not necessarily required, catching many an unsuspecting motorist off-guard. So take note, you out-of-towners travelling to New York City for the first time! For New York drivers “in-the-know,” it is no secret that there are a million ways to get a ticket. Some stubborn drivers refuse to park anywhere but on the street, but for those of us that want to maintain our sanity driving in The Big Apple, garage parking is the way to go. 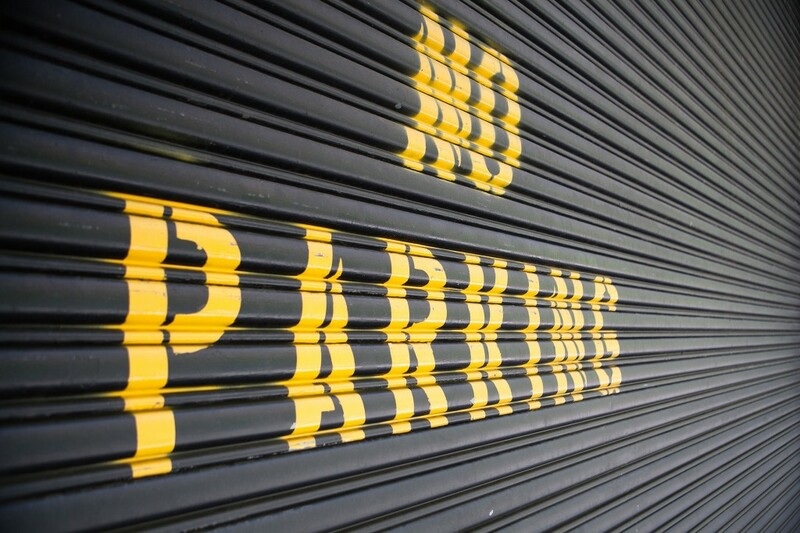 Save yourself the hassle and the mystery fines that come with street parking and stay ahead of the game by booking your parking in advance with ParkJockey. In fact use the promo code PKTIX and Save 10%. We promise: booking ahead with ParkJockey will not result in hefty fines, so save your greenies and book with ParkJockey! This entry was posted in New York, ParkJockey and tagged NYC, nycparking, parking, parking tickets on September 7, 2014 by ParkJockey Team.